The Austin Energy system average carbon intensity is calculated as total greenhouse gas emissions at the point of combustion in pounds of CO2-equivalents divided by net generation in kilowatt-hours from all Austin Energy resources. Austin Energy generation resources include natural gas, coal and nuclear-powered units; renewable resources; and purchased power from renewable and non-renewable resources. GreenChoice® energy sales are subtracted from the net generation total since GreenChoice customers can claim their carbon intensity to be zero. Find more information at http://austinenergy.com/go/reports.  View the actual dollars for Austin Energy’s annual Operating Budget beginning fiscal year 2007. The Excess/Deficiency is calculated by subtracting the requirements from the available funds. Go to http://austinenergy.com/go/corporatereports to learn more.